No one thinks they have enough time. It’s not true, but they think it’s true. Really, we’ve filled in gaps that used to be reserved for lunch and dinner and normal human interaction with social media and binge-watching. Every once in a while, we sneak in a few drinks or a conversation with a stranger. It’s a culture shift. One to which you have to be responsive if your restaurant is going to thrive. If you’ve seen steep declines in in-house restaurant business at lunchtime, you’re not alone. 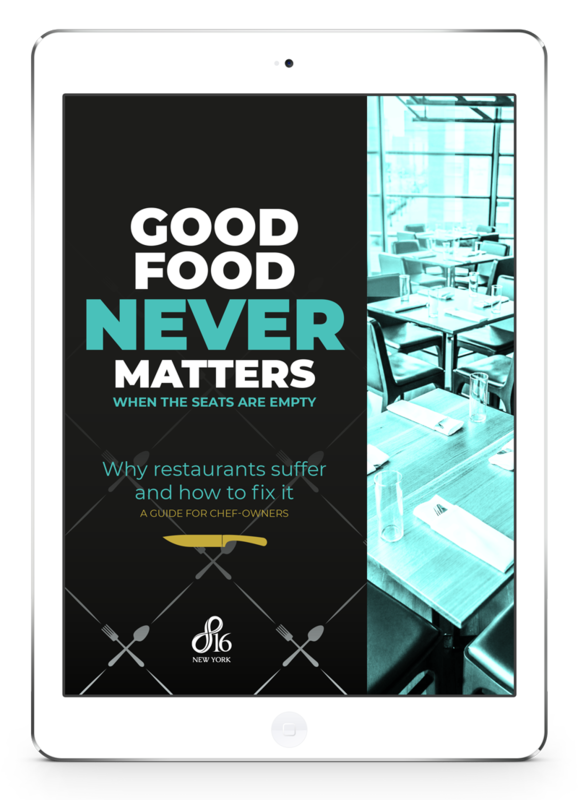 Americans made 433 million fewer trips to restaurants at lunchtime [in 2016], resulting in roughly $3.2 billion in lost business for restaurants. It was the lowest level of lunch traffic in at least four decades. Visiting a diner or a sandwich shop—much less carving out time for a full-scale midday dining experience—seems impractical nowadays. It’s not just the culture shift; with busy schedules, mindful budgeting, health-conscious attitudes, and an increase in telecommuting, it makes sense to cut out non-essentials like restaurant-prepared meals and lunch breaks. Even fast-casual chains that cater more to harried customers with counter service instead of waitstaff are experiencing slower growth. So how do you counteract this trend and attract more lunchtime business? First, we need to strategize around what’s really going on. People don’t think they have enough time for lunch. People won’t take the time they do have to leave the office. People can’t justify spending twice as much for what they can prepare at home. People want to eat healthy (or at least don’t want to feel guilty about what they’re eating). You have to be somewhat empathetic to the reality of today’s working world in order to truly meet people’s needs. Consider ways you can help make their lives easier, healthier, and simpler. And they will respond. Look over your menu and determine how you could offer quick carry-out or dine-in meals. Why is Chinese food a lunchtime favorite? The combo: General Tsos, rice, egg roll, soup… all for $12? Takes you about 3 minutes to order and you have it delivered in about 25. How can you integrate this style of ordering with the carry-out or dine-in model? How can you compete with people buying their food from the supermarket and preparing it at home for 1/2 the cost of what you have to charge to meet your bottom line? Perhaps you could offer grab-and-go DIY combos from an abbreviated menu that you’ve designed around pre-prepared fresh food (emphasize fresh!) and a few healthy add-ons (fruit, salad). Or offer some guilty-pleasure options (sometimes you want that falafel wrap with a side of Ruffles, right?). You could make simple lunch bags that combine healthy sides and a small-portion main menu item that can be easily eaten or quickly heated up back at the office. And you price it flat: $7 per bag. Add flavor, make it fun, price it simply—make it easy—and promote it everywhere. On social media, via table cards, using email marketing. Replacing the power lunch is the “lunch and learn,” where lunch is delivered to the office and all participants eat together around a conference table or in-office lounge. What makes this easier for them? Mobile apps like Seamless and GrubHub. Consider ways you could tap into this trend. Drop off a short flyer at local offices, advertising your new Lunch & Learn Special. Share it with groups that generally need meet-up space. Offer to be their Lunch & Learn spot. SEE ALSO: Is Google My Business more important than your website? Include pricing and sample menus for various numbers of people. Create variety: an organic / healthy menu (Lite Lunch) versus one that is heavier (Power Lunch). Make it EASY. Create packages they can quickly share around the office. Remember: They think they don’t have time. Isn’t this just catering, you ask? Yes, pretty much. But you’re presenting it in a language they understand. If you have the budget, you’re best served linking this to a mobile-friendly e-commerce landing page from your website. That way, they can order on the fly. Just be sure you get notified as soon as those orders come through! Then promote, promote, promote… on social media, email marketing, and anywhere else you hang out online. When is the busiest time at your sit-down restaurant? If you’re here in New York, it’s likely to be brunch. Perhaps it’s simply psychological—people will take the two hours to leisurely eat a plate of crepes and potatoes because they don’t have to go-go-go for a change. So why not offer brunch for lunch? Note that I’m calling this an event, not a new menu or a daily special. The aim here is to bring people into the restaurant for sit-down meals—but maybe just once per week or once every few weeks. It needs to feel special. 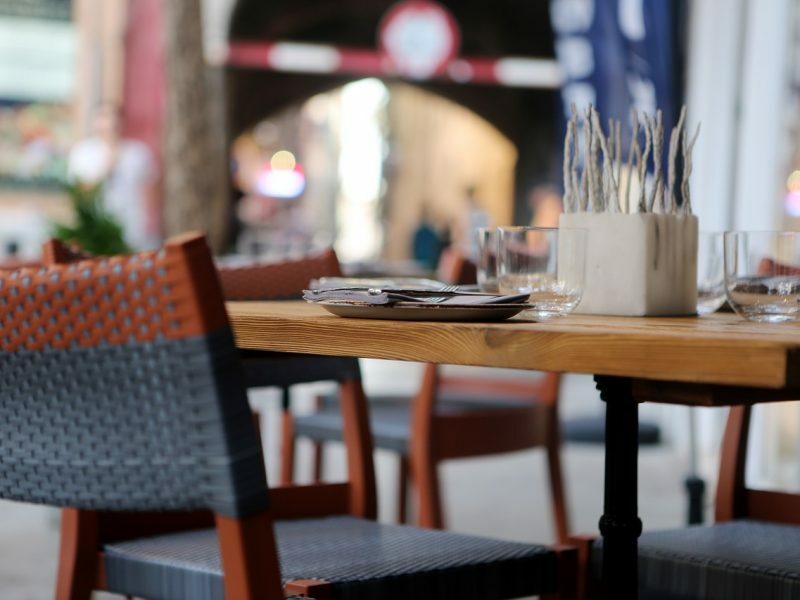 Use this event to promote that your restaurant is work-friendly. Free Wi-Fi. A quiet environment. Unlimited free coffee from [slow time] to [slow time]. You get the idea. You’re not going to be able to convince someone’s Tuesday brain that she should suddenly eat in a restaurant every day, so share how she can continue to work even as she enjoys the delicious brunch foods she loves. People are creatures of habit; once they get used to the idea of Brunch for Lunch, they’ll be watching your social media to see when the next one is coming up. They’ll share it with their friends—the ones nearby that they brunch with, most likely!—and then you’ve got a distinguishing way to separate your restaurant from all the other lunch options. Because that’s the idea: Making your restaurant stand out. You may not ever see a full-scale return to the Power Lunch days, but by directly understanding and trying to meet the needs of your customers, you reinforce your place in the community. One of the most frustrating things about dining-in at lunchtime is the last step: Waiting for the check and/or waiting for a box to wrap leftovers. We’ve all been there. You have to get back to home, work, school, wherever, and suddenly the waitress has disappeared. You’re sitting there maniacally tapping your thigh and craning your neck, begging someone to notice your plight, but no one is around. Combat this altogether by giving dining-in guests the option of paying up front—including tip—and eating from the same packaging you use for delivery. I experienced this in Italy. At first it was off-putting, but with no pressure to leave, we stayed at the café for quite some time and even ordered another cup of coffee (paid again, tipped again). That way, when your guests are ready to go, they can simply box up their leftovers and be on their way. Again, you’re making it simple for them to take a break—or continue working, as they see fit—without hassle. This is a bit harder to promote, but it’s good business and shows that you’re mindful of the needs of your customers. Creating successful campaigns is about rolling things out gradually and consistently. You can’t just launch any of these ideas and then sit back and wait. You have to continually get in front of your customers in the neighborhood and share the new programs. Again, people are busy. And it takes time for them to “get it” when it’s new. So telling them once may not be enough. Or the one time you told them may not have been the most convenient time. Test the market, keep the energy flowing, and it will catch on. Founder & director of 816 New York and passionate about all things strategy. My parents want to celebrate their anniversary by having lunch this weekend. It was explained here that it will be best if it has a fast-break menu. Moreover, it’s highly recommended to go to trusted restaurants for a memorable lunch.